Five Major League Baseball clubs have teamed up to jointly oppose registration of the mark B. 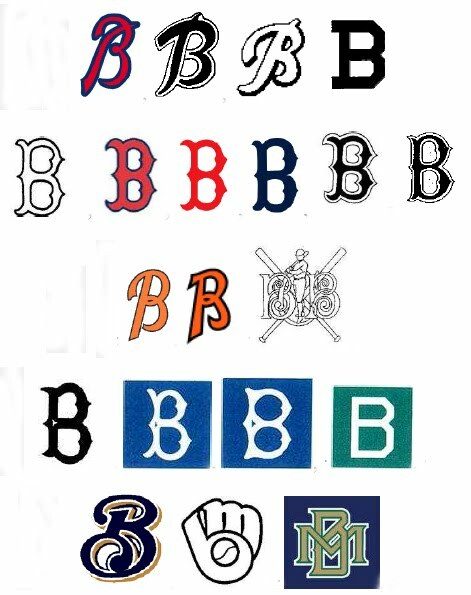 (in standard character form) for children's books, claiming likelihood of confusion under Section 2(d) and false association under Section 2(a) in view of various "B" marks (shown below) that they allegedly own. Can you guess what five teams are involved? Well, one is the Atlanta Braves. Atlanta National League Baseball Club, et. al. v. Battat Incorporated, Opposition No. 91196839. Each opposer claims that its marks (segregated by row above) has been used for a variety of goods, some of them including printed material. Each claims that because Applicant Battat's mark is in standard character form, it would encompass stylization similar to each Opposer's marks. 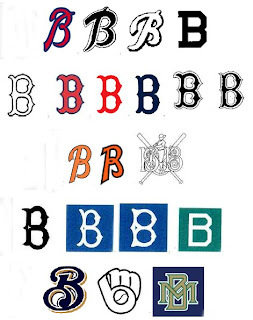 Moreover, Opposers assert that such a broad registration could hamper their development of other "B" marks. Of course, Opposers claim that their respective "B" marks point exclusively and uniquely to each of them, a predicate for their Section 2(a) claims. What do you think of these claims? Is this piling on? Or legitimate and necessary policing? TTABlog note: From my experience as a Little League coach, it seems that Little League teams are never called the "Brewers." Side-stepping the trademark question, I will say that B's Pop-Arty product has been a popular gift choice at birthday parties my 6 year old has attended recently. Someone should review the law firms that match up to the alleged trademark bullies. How many firms are the cause of this supposed problem? Perhaps only a few. Let's see, each of the Opposers is alleging that Applicant's mark "points uniquely" to their "B" mark. Now just how does that work?